Local wisdom for your caffeine fix, nutrition, and frosty beverage needs. 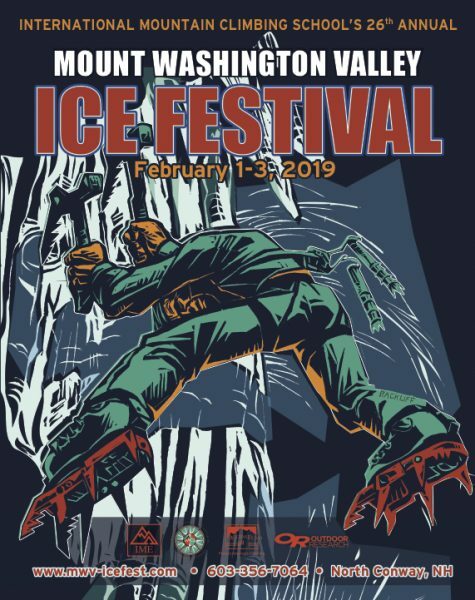 Tuckerman Brewing Company: The official beer sponsor of the Mount Washington Valley Ice Fest! When picking up beer after a day of climbing, look for Tuckerman Brewing Co! Amazing folks behind this company that brew award winning handcrafted beer! They are also offering all Ice Festers $5 of their growlers! Just show them your Ice Fest wrist band (you receive if you’re a client or if you go to any of the evening shows) and you can grab your growler from the brewery on your way home! Frontside Grind ❤’s Ice Fest! : There will be the special Dropline Blend coffee each morning of the Ice Fest at the American Alpine Club’s table. Austin from Frontside Grind roasts this brew especially for Ice Fest! Want a latte, fresh baked goods, or an egg and cheese on a bagel? Walk down one block to their new location! Presto! Flatbread: Located conveniently right across the street from IME & IMCS, this place is the tops! Warm, cozy, and amazing food with an incredible staff. Relax and enjoy a natural pizza baked in a primitive wood fired oven, their renown salads, and finish the evening off with one of their oven warmed brownie sundae! The Local Grocer: The local grocer is located about 1 mile north of IME & IMCS on route 16. Look for the big red barn-like building! They love climbers, and their food is amazing! They provide the North Conway community with local and organically raised food and farm fresh products. Such a great place! The cafe can make breakfast and lunch items “to go”, or sit down and try one of their breakfast burritos! They will be offering 10% to all Ice Festers! Just show them your Ice Fest wrist band!